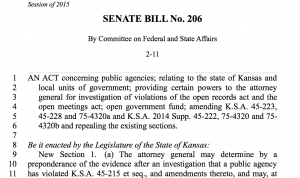 AG’s open records enforcement bill virtually unopposed | Kautsch Law, L.L.C. Supporters of HB 206, which would provide for alternative dispute resolution-style negotiations upon findings of violation by the Attorney General’s office as well as more specific enforcement powers for violations of KORA and KOMA, testified in favor of the bill before the Senate Judiciary Committee in February 18, 2015. 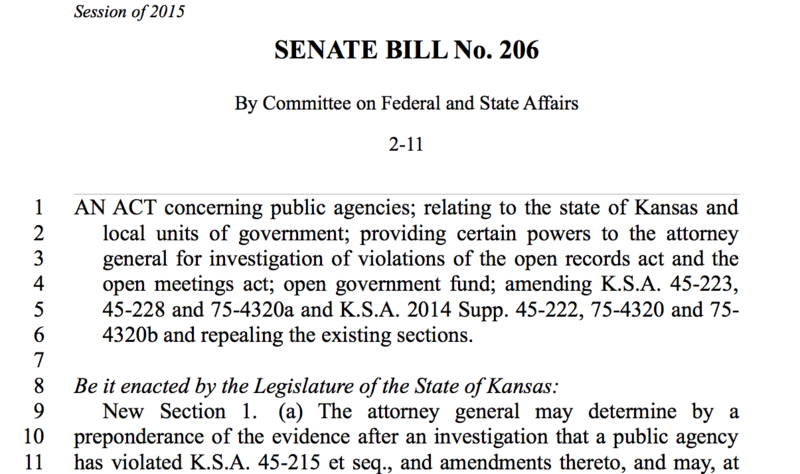 Read the Topeka Capital-Journal’s coverage here.